This website is managed by Elementary Technology, a leading supplier of interactive technology into education and business. With this leading status comes professionalism and expertise at every stage of working with our customers, from initial advice, demonstrations, training and ongoing support. 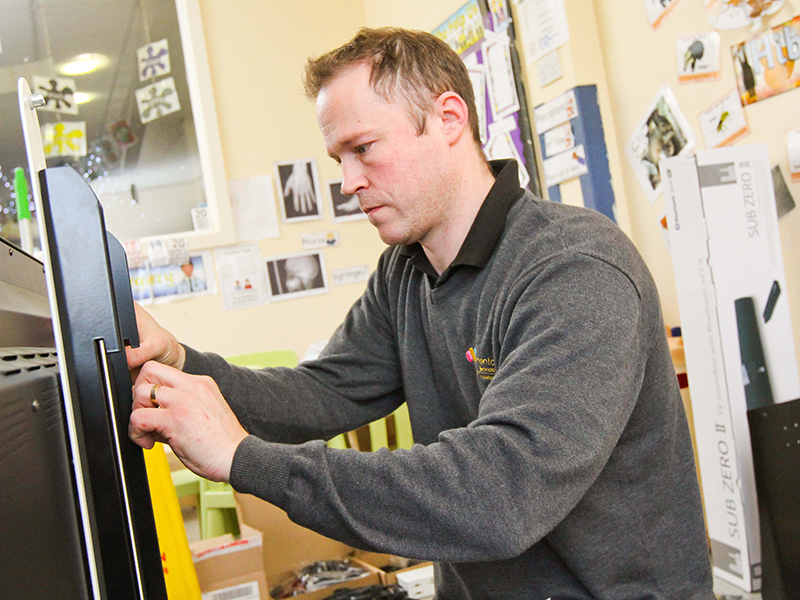 A vital part of your procurement of interactive technology is of course installation – this is also available to all customers. We work with a team of Senior Engineers covering the whole of the UK and each is trained and manufacturer-accredited to install technology from the leading brands. Furthermore, we always offer a site-survey where required, and we always fully test technology to ensure all is in working order prior to signing off. Ask us to add a competitive installation cost to your quotation, and ensure your interactive technology is integrated into your organisation to the highest professional standard. Or if you’re not ready to get in touch, have a browse of our Success Stories to see how interactive technology has benefited other organisations.